This shell-and-bead necklace is from the summer after my oldest daughter was born. It was hot, I was wearing a wardrobe of the same three shirts over and over and I was just starting to get back to work for more than an hour at a time. I made this one afternoon in a craving for bright colors and off-kilter fun. Knotted #8 silk in fuchsia with vintage green glass leaves, pink shell flower and 14k gold toggle. I used that toggle because it seemed so lux and I wanted to spoil myself a bit. 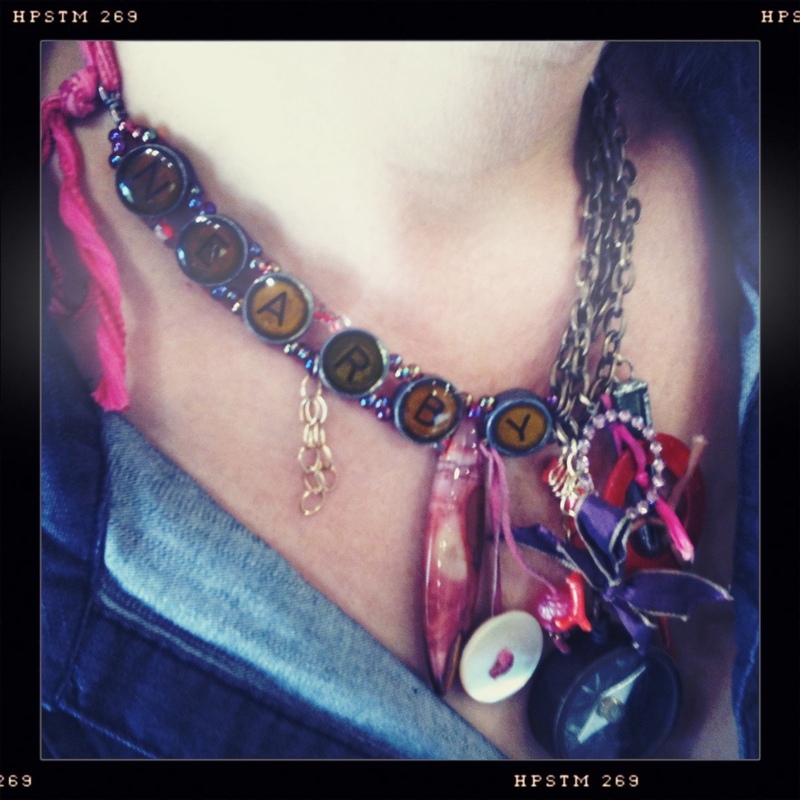 I made this necklace years ago when my oldest daughter was just about two-and-a-half. I took my first trip away from her, an over-nighter to NYC for a quick trade-show visit. I knew she’d be fine. I missed her terribly, but I also really enjoyed a take-out dinner in my hotel room and a long evening of being all alone. Of course, I always travel with beads. This is the necklace I created. The reproduction typewriter key beads say ‘nearby’ and you can probably imagine who I was thinking about. 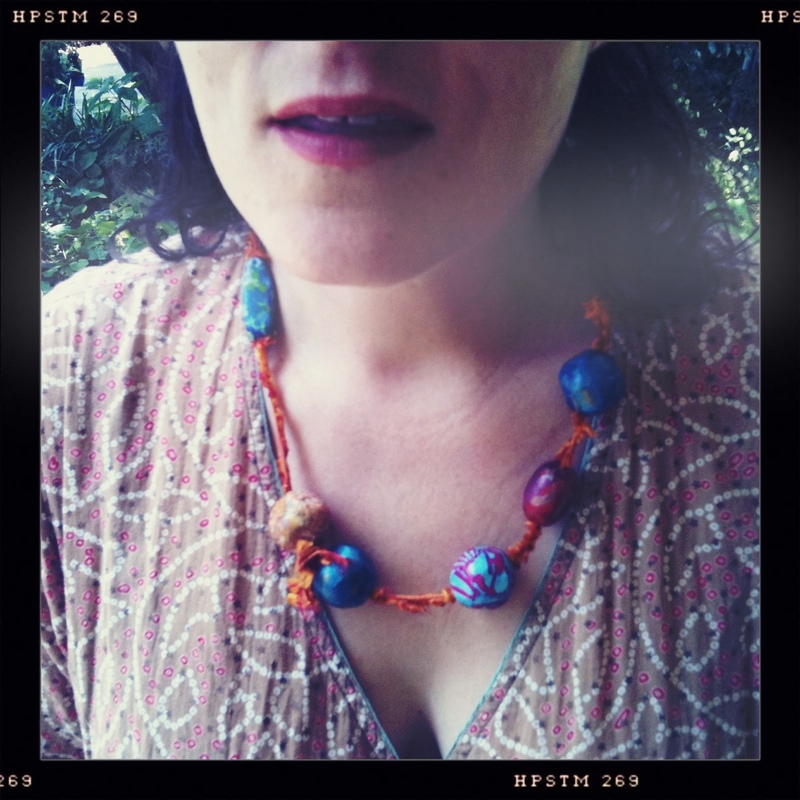 This necklace is made of wooden beads covered in colorful Decopatch paper and strung on silk duiponi. Instructions were published in Handcrafted Jewelry in 2010. 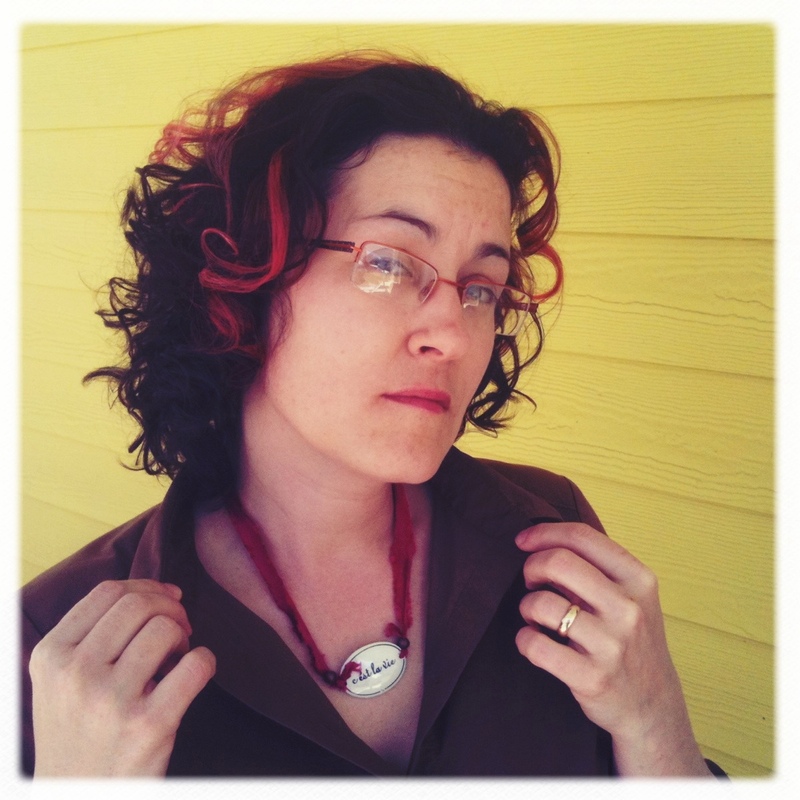 So here I am, popping my collar with this sweet and simple C’est La Vie necklace. The center piece is an enameled plaque made for scrap booking that I suspended from some silk dupioni ribbon. There are knots holding the plaque in place and I slipped large copper beads from Ghana over the knots. There is a clasp in the back. 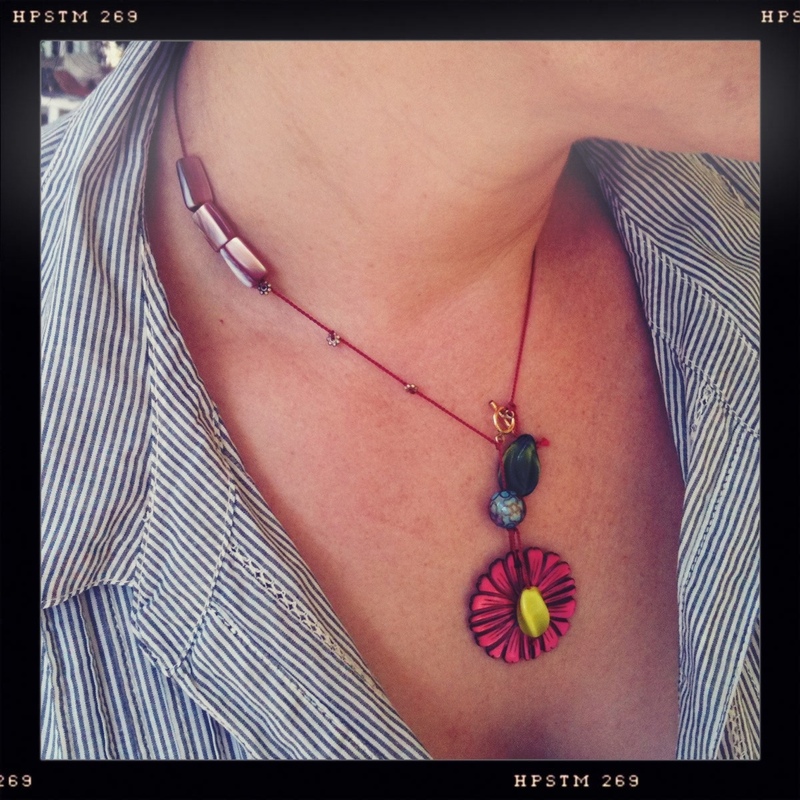 This necklace looked promising on my work table but I rarely wear it. The plaque can flip over pretty easily and the ribbon is a tad too long. I know, I could just re-do the whole thing. Do you ever have that happen? You make a piece and it just doesn’t work so you think that…someday…you’ll get around to redoing it. That is hard work, isn’t it. The first flush of excitement with that new bead or pendant is gone and the next idea might be better. At least, you hope it will be better. 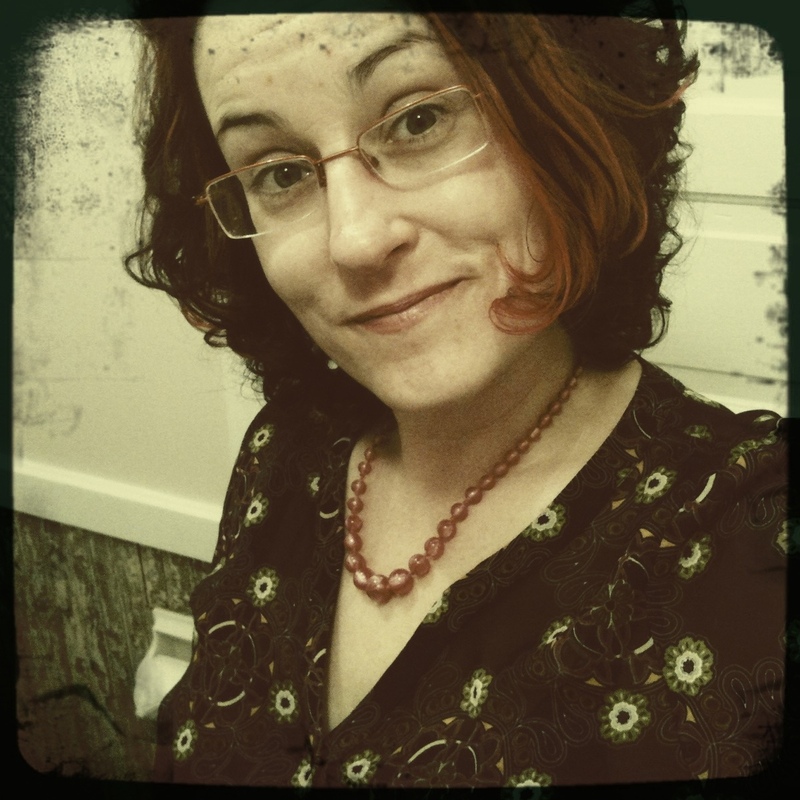 I am realizing with this blog that I rarely redo an item if it does not work out.